How Digital Marketing Influences Your Business? You need to market the products and services on the internet using digital technologies. It gives your business an opportunity to reach a large audience or wider market. This is the premise upon which digital marking rests! Further, the digital world is full of marketing platforms with some of them having a user base running into millions. Your business thus needs to leverage those platforms – at least some of them – reach to the target audience and fulfilling the objectives. It’s quite obvious that no business can ignore the vast and ever-rising potential of digital marketing. However, you also need to understand the utility of doing the same. Quite clearly, digital marketing has utility and your business can benefit a lot out of it, provided your hired experts. How effective is digital marketing? Stats and figures are there in plenty to prove the effectiveness of digital marketing and they give you a good idea of this marketing tool. From the above, it’s quite clear that digital marketing is growing in scale at a phenomenal rate and the trend looks to continue in the days to come. Your business should they stand in line to benefit from this and realize its goals. Digital marketing benefits businesses at many levels and this is the major reason of their ever-growing popularity and usages across the world. With digital marketing, your level of engagement with clients and potential customers reaches a new level altogether. Digital marketing helps you track efforts and keep an eye on indices related to performance of your ads. Right from the clicks to visits to CTR to impressions to budget – every aspect of the marketing is now measurable to the core. In a sense, all your marketing efforts will be under your control and this flexibility helps on the budget front as well. Budget or financial clout is no longer the way to dominate the landscape of marketing, at least here in digital marketing. So, small and mid-sized businesses stand to access the same pool of prospects as big brands can do. With digital marketing, your lack of financial resources won’t ever come in the way of realizing online ambitions. You can afford marketing and you can leverage this amazing flexibility. Digital marketing makes you more agile with messaging as you needn’t rely on printable items to get the ideas across. Your ads get designed quickly and they enter the search network with just a click of the button. The best part, there are paid ads to leverage to gain time, geography and market-specific results. In overall, you need to hire one of top digital marketing experts to grow the business and get benefits from the never-ending prospects on the internet. 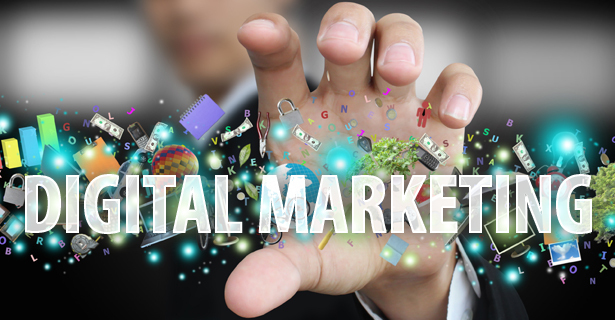 Vyas Infotech: How Digital Marketing Influences Your Business?